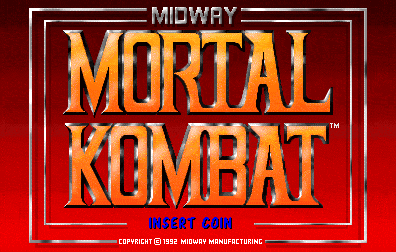 Today's 'M' game is the original MORTAL KOMBAT! Yeah I realise that I'm crap at fighting games and only understand them at the most basic level, but the game was requested, so the game's getting played. I actually know a tiny bit more about this one than most though as I played the first few Mortal Kombat games a bit when I was younger. I bet I can even remember a couple of the special moves. 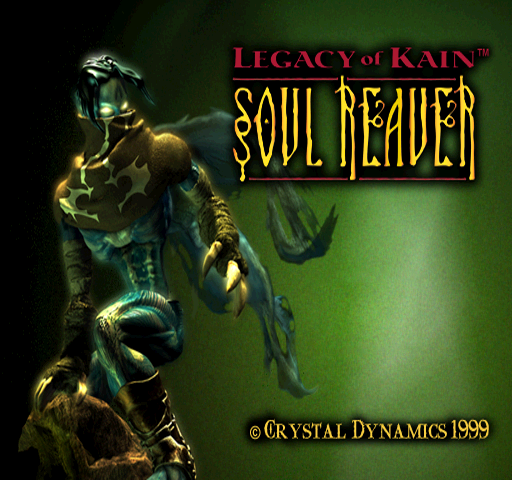 The final 'L' game on my site this year is action-adventure sequel Legacy of Kain: Soul Reaver! Today Crystal Dynamics are best known as being the guardians of the Tomb Raider series (seeing as they've made nothing else since 2006), but a decade ago they were more famous for another 'borrowed' franchise they'd decided to make their own. And a decade before that they were making 3DO games and Gex sequels, but hey everyone's got to start somewhere. The Legacy of Kain series started in 1996 with 2D action RPG Blood Omen: Legacy of Kain by Silicon Knights, with Crystal Dynamics as the publisher, but the two companies had a bit of a falling out and Crystal Dynamics was the one that walked away with the IP in the end. They also walked away from publishing, deciding to develop the next game in the franchise themselves by merging their original concept for a game called Shifter with the Legacy of Kain mythos, while Silicon Knights were left to make Eternal Darkness: Sanity's Requiem for Nintendo instead. Sorry I thought all that was interesting for some reason. I guess I've been overly fond of Soul Reaver ever since I got my hands on the Dreamcast version and found myself helplessly playing it through right to the end. The sequels bored me, but this first game was really something special. Or maybe I just grew out of the entire series when the gameplay became dated. I suppose I'd have to replay this to find out for sure. So I'll go do that then. Today on Super Adventures, mecha-neko makes a rare return from his self-imposed exile to write a guest post about a critically unloved 2008 first person shooter. If this isn't the most words ever written about Legendary in one place at one time, then the internet needs to stop writing so much about Legendary already. I mean seriously guys, give Zelda or Dark Souls some attention for once. Ray bought me a game that I've been curious about for the longest time, so I thought I'd better show you folks what it's all about! 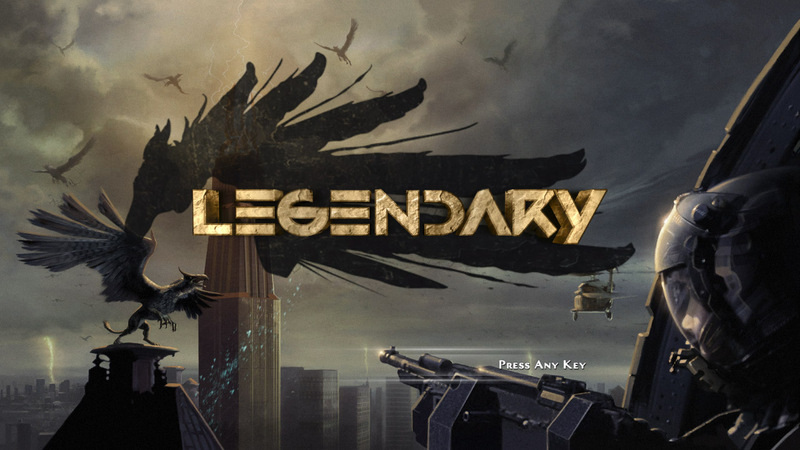 Say hello to Legendary, a first person shooter by Spark Unlimited. 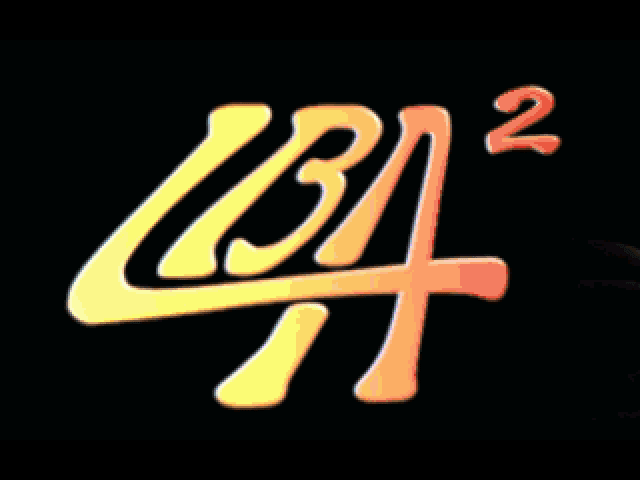 Today's 'L' game is classic DOS action-adventure sequel Little Big Adventure 2. Though it'd be a 'T' game in North America and Brazil, as the game was retitled Twinsen's Odyssey. I've no idea why the people in charge of the America release had such a hate on for the original name, but at least they picked something that fits better this time around. The first game was about a friendly magician who lived in a cartoony world of rabbit people and elephant folk, and they renamed it Relentless! That's the video game title equivalent of drawing frowny eyebrows on Kirby game covers. I don't think I've ever played this before, but it's hard to know for for sure. I definitely gave the first Little Big Adventure a go early last year though, and I wasn't impressed. The game came out in 1994 and they hadn't figured out yet that it's not a good idea for the hero to lose health by walking into walls. I hope three whole years was enough time for them to think hard about what they did and come up with some improvements for the sequel. Sorry, can't talk long, too busy. Bad time management and poor decision making on my part has given my scheming friend Jihaus an opportunity to (temporarily) invade my site, so today he'll be sharing what he thinks about this recent indie game. You'd think that with a name like Long Live the Queen this would be a British game about assassinations and intrigue... and it actually is! Also anime girls, apparently. I'll leave Jihaus to explain how that works out. 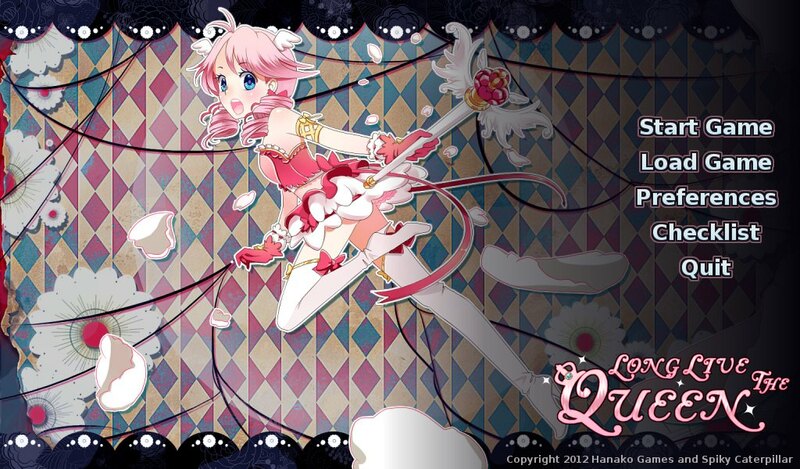 Today I play Long Live The Queen, a harsh game about medieval court intrigue and politics wrapped up in a deceptively kawaii package. A cursory glance at the main developer, Hanako Games, shows a history of visual novels and casual games for girls which tend to be on the cute side. Of course I know going in that the story is anything but that, and that the title itself is the challenge of the game. Let us see about meeting that challenge then. (Clicking screenshots will display them at their original resolution). 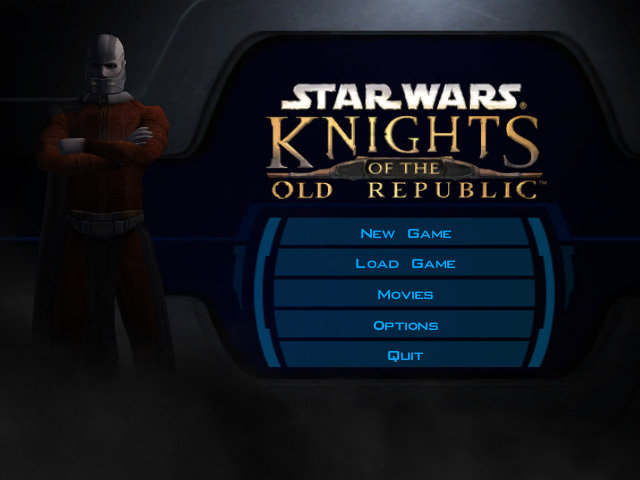 And this year's final 'K' game is... Star Wars: Knights of the Old Republic! I've spent forever trying to capture screenshots from the Xbox version of this game, but the best I've managed has been fuzzy black and white footage from an old DVD recorder. But then one day a copy of the game miraculously appeared in my Steam library. I'm taking it as a sign that fate does want me to play this game, it just wants me to play the PC version instead. I admit I have played through this before on the Xbox, about a decade ago perhaps, but thankfully my crappy memory means it'll likely be as if I'm seeing it all for the first time! I didn't even remember it has its own unique theme tune instead of reusing music from the films: youtube link. Though here's one big difference I've noticed between the two versions: the PC version does not like my Xbox 360 pad one bit. Mouse and keyboard only, controllers not allowed. 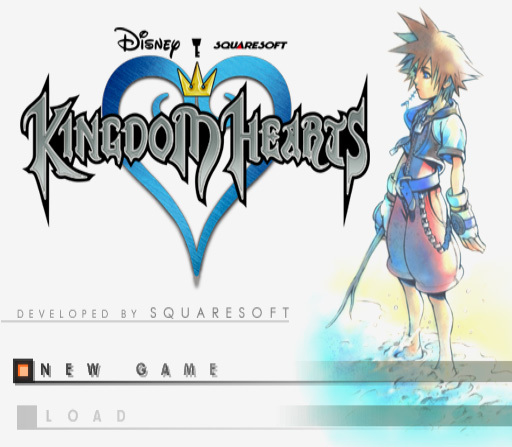 Today's 'K' game is... Kingdom Hearts, obviously. It's not exactly an obscure series, but it's pretty much slipped right by me so I'm coming into this one almost entirely clueless. I have absolutely zero nostalgia for the game. I do know that it's an epic collaboration between Square and Disney, bringing characters from both their franchises together in an attempt to come up with a third person action game with enough star power to rival Super Mario 64. This would've been back when Square still had that feud with Nintendo going on, so Super Mario RPG 2 was way off the table. Okay I admit that a few years back I did give Kingdom Hearts half an hour or so to win me over, but I didn't exactly come away from it with a deeper understand of what I'd been playing. All I remember of it now is running around a desert island looking for fish to eat. Forever. I've been looking through my list of 'K' games and there sure are a whole lot of titles beginning with Knight, King and Kingdom in there, so whatever I end up going with I'll be seeing a lot of blokes with swords over the next two weeks. Today's game is Kingdom: The Far Reaches, AKA. Thayer's Quest or just Reaches, and it looks like I'll even get a castle or two in this one. 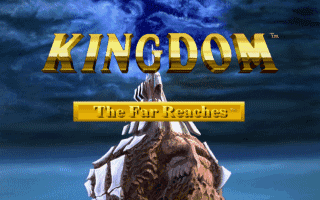 Kingdom has been sitting in my GOG.com library, taunting me, ever since I bought it in a pay what you want Interplay bundle two years ago. I've been putting off playing it though because at a glance it kind of looks a CD-I port. But no longer! Today you and I are going to find out what this game actually is, and hopefully figure out if it's any good while we're at it. Here you go, I'm finally taking a look at one of the Kirby games for you and... whoa, this came out in 1993? That's incredibly late for a NES game, especially when it's the console début of one of Nintendo's star characters. I thought they stopped inventing new IPs in 1986. Kirby's Adventure is really the second game in the series though, as he first showed up a year earlier in Kirby's Dream Land on the Game Boy. Like the Incredible Hulk, Kirby started out grey and switched to his iconic hue in his second appearance. I was asked to skip the handheld original and play the NES game specifically, as it introduces the power stealing gimmick that became Kirby's signature skill. Makes sense to me, plus it doesn't hurt that it'll be in colour so I'll get prettier screenshots out of it. 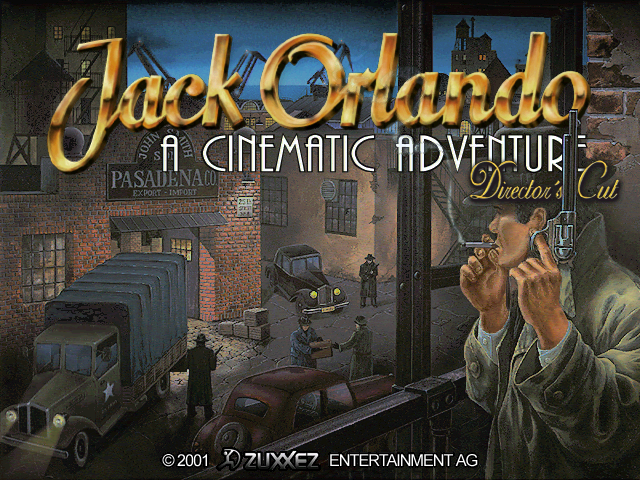 Today on Super Adventures I'm going to be taking a brief look at Jack Orlando: A Cinematic Adventure. It came with five other games on a double sided compilation disc I picked up a while back and although the DVD case clearly says both "RPG" and "Role Playing Games" on the cover, I wouldn't be entirely shocked if this instead turned out to be an adventure game. Maybe even an adventure game with cinematic sequences in it. I'm not all that familiar with this one, but I do know that I'm playing the Director's Cut of the game which came out 4 years after the 1997 original. As far as I'm aware they didn't do a 'Monkey Island: Special Edition' on it though and redraw the all of the artwork, so it should basically be the same thing except with a few updates and tweaks, maybe even a couple of extra backgrounds to visit and puzzles to ponder.